While we were out to sea, the cruise lines were busy. We returned to brand new cruise ship details and unexpected reveals. 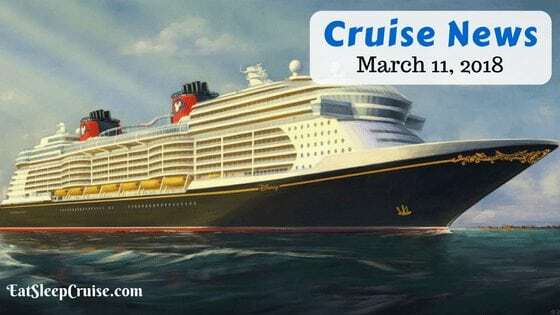 It was probably difficult for you to keep track of all the updates this week, so we summarized them in this edition of Cruise News March 11, 2018. 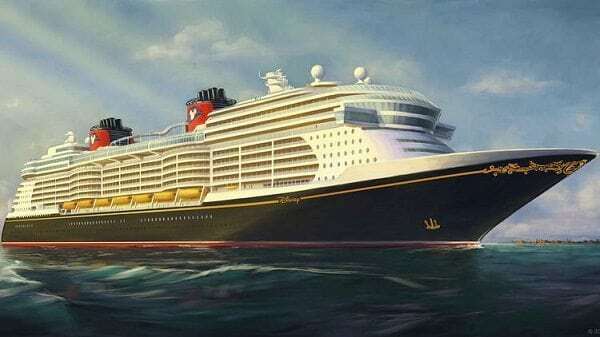 Disney Cruise Line (DCL) has committed to building three new ships in the coming years. This week, avid DCL fans got the first glimpse of the new renderings. This new class of ships will have a very familiar design and color scheme, paying homage to the golden age of cruising with a classic steam liner design. However, cruise line officials did indicate that the new ships would offer “more innovation and technologies.” The new renderings also show some slight curvation changes in the ship’s design. The cruise line confirmed that the new ships would be around 140K gross tons, slightly larger than originally intended. The first unnamed ship in this class is due to set sail in 2021. The Viking Sun was christened a few days ago during a stop in Shanghai, China. The stop occurred during Viking Sun’s 140-day world cruise. The christening ceremony also marked the cruise line’s maiden call into a Chinese port. 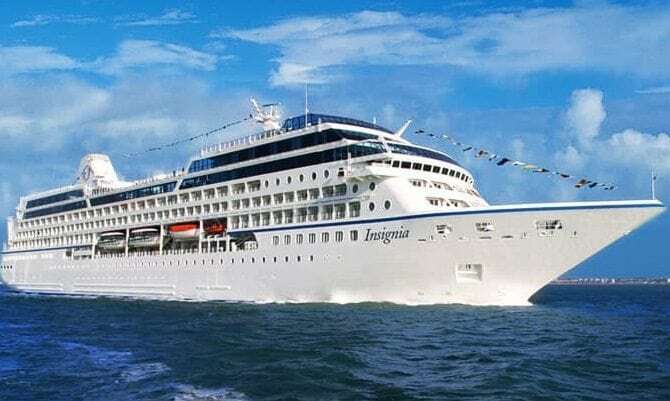 Officials from the cruise line commemorated this occasion by pointing to the brand’s commitment to the Asian market, including its fifth ship in the fleet, Viking Orion, which will be stopping in the region soon as well. In other news, Viking Cruises reached an agreement with the Fincantieri shipyard to potentially build an additional six ocean ships. The line is currently in the works to have a total of 10 vessels built with this manufacturer. This new option would expand that number to 16. These additional ships would be delivered starting in 2024. No word on whether any of these future builds would employ a new ship design or features. Although, this announcement demonstrates the young cruise line’s growing presence in the premium and luxury cruise market. The hottest and sleekest new build in Miami might just be the Norwegian Cruise Line Holding’s Miami Terminal. A sneak peek of the new terminal to be built for 2019 was showcased this week. The stunning new building has a silhouette resembling a cruise ship, but with sleeker curves and edges. The stylish, all glass design will allow cruisers to begin their vacation as soon as they set foot in the terminal. 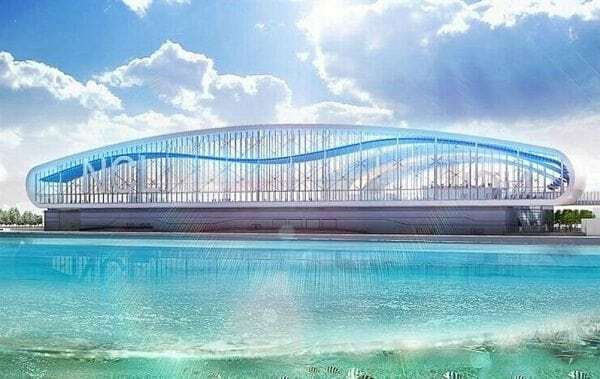 Cruise line CEO Andy Stuart indicated that the new terminal would allow guests to have a “more attractive and enjoyable embarkation and disembarkation experience.” The designs still need to be approved by Miami-Dade County officials. With the addition of this new facility, NCL would have the ability to hold two 5,000 passenger ships at the same time. This new terminal is expected to be ready in time for Norwegian Encore’s arrival in the fall of 2019. Speaking at an industry event earlier in the week, Virgin Voyages’ CEO Tom McAlpin provided a glimpse into the inner workings of this new cruise line. During his remarks, McAlpin indicated that the ships’ designs and onboard activities would focus on the cruise passenger experience while incorporating the Virgin brand’s trademark style of being “fun and hip”. He also indicated that the ships would be smaller than originally announced, allowing them to visit additional ports, and that the cabin designs will be unique. The first of three ships will be hitting the Caribbean in 2020. Cruisers looking to be among the first to travel on MSC Cruises’ latest ship are now able to make reservations. MSC Grandiosa will be the line’s largest ship and the first in the Meraviglia-Plus class. The ship sets sail on Western Mediterranean cruises in November of 2019. Cruisers who are part of the line’s loyalty program are now able to book cruises for this inaugural season. Those who have not sailed with MSC Cruises will need to wait until March 19th to book a trip during the first season. It is never too early to begin planning a cruise, especially if you are looking to sail on the upcoming 180-day world cruise on Oceania Cruises. This half year voyage visits four continents and 95 ports of call. Departing from Miami, FL in January of 2020, this cruise will set you back over $40,000 a person. This cost includes upgrades such as free gratuities, onboard WiFi, and laundry service. Pre-booking packages give cruisers the option of 70 free shore excursions, a free beverage package, or an onboard credit of $7,000. The ship will sail through the new Panama Canal locks, and it will be the first time an Oceania world cruise will visit Alaska. You can see all of the great ports of call here. After a successful test run of the Travel Deep social impact program in January onboard Crown Princess, the cruise line will be adding six more sailings to the program. These cruises will occur over the next several months onboard Regal Princess, Royal Princess, and Caribbean Princess. The program includes excursions and support activities ashore that will allow guests to help local communities. Also, on land activities will give cruisers the opportunity to learn more about the citizens living in the Caribbean. The program is a joint effort with Fathom Travel, the social impact cruise line started by Princess Cruises’ parent company, Carnival Corporation. 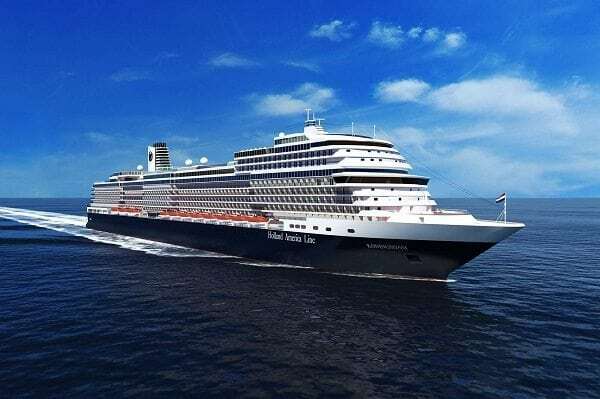 Looking to stay competitive with other major cruise lines, Holland America announced several changes to the onboard experiences. The cruise line released plans to improve shopping onboard the fleet’s ships, including the expansion of logo collection adding items from clothing to accessories. The line will also be adding a new print shop in partnership with Fujifilm which will enable cruisers to print photos taken on their devices as well as add photos to other keepsakes and create photo books. In other news, Holland America will be hosting several themed cruises to entice travelers with a more refined palette. The cruise line will be launching several culinary focused voyages this spring as part of their Food & Beverage Aficionado Cruises. These cruises will include members of the cruise line’s culinary council, the line’s master mixologist, as well as wine experts and partners. These featured sailings will allow foodies the opportunity to attend workshops and demonstrations, meet and interact with the culinary team, and dine on select menus. In addition, the line will sponsor a series of four voyages on the MS Koningsdam that spotlight wine with additional experts joining onboard vineologist for demonstrations and informational seminars during the summer. 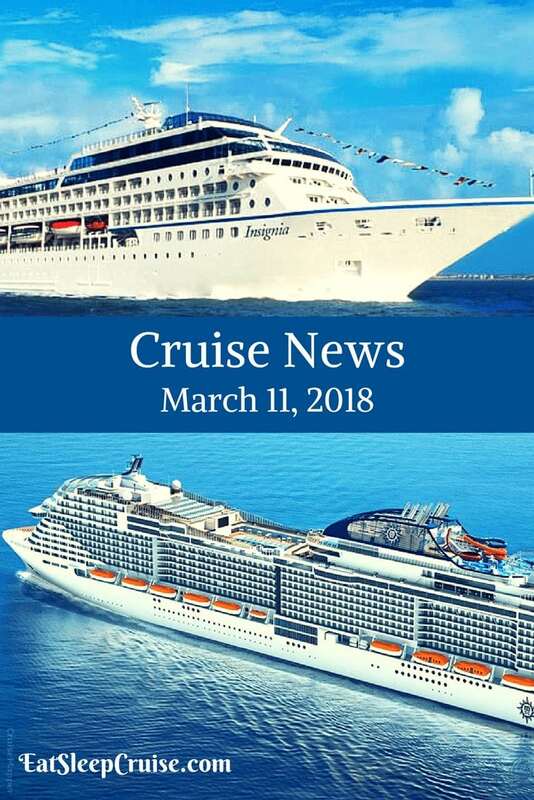 Did we miss any major headlines in our latest edition of cruise news March 11, 2018? What do you think of all the cruise announcements this week? Drop us an anchor below to discuss these recent travel updates. Hi, I have a question on the sheet you are to fill out when we dis-embark back in Seattle from Alaska, What forms will we need to fill out? and is there for app.for it?